Most widely known as a Canadian Idol top finalist. But much more than a great singer he is an accomplished musician and producer. He is known in the band as the “hook writer” for his constant ability to come up with memorable melodies. 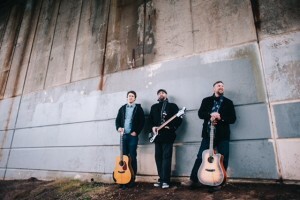 Glen MacIsaac has been playing on the east coast music scene for almost 20 years and is recognized as one of the top lead guitar players in Atlantic Canada. A founding member of the popular local bands Highland Heights, Rant and a session musician, Glen has played pretty much every venue in Eastern Canada. A 4 time ECMA and 2 time Music Nova Scotia nominee and winner as both a musician and producer as well as a post secondary music educator, Glen is known as much for his incredible catalogue of songs as he is for his musical abilities. Whether on stage playing with some of your favourite bands or in the recording studio , Glen always brings a passion to his performances that is second to none. Mike brings over 20 years of professional playing to Halifax Pier as the bassist for both the multiple ECMA Award winning and Juno nominated band ICU and most recently, Clam Chowder, one of Halifax’s most popular bands for the past decade. He has been seen recently on stage filling in with amazing Halifax bands such as Shaydid and Donair Supply as well as Paul Lamb and Cory Tetford. Mike’s infectious love of music can be seen every time he hits the stage.